Channel Master - A Name You Can Trust!!! Put bracket on chimney and run strap round chimney, being careful not to twist it. 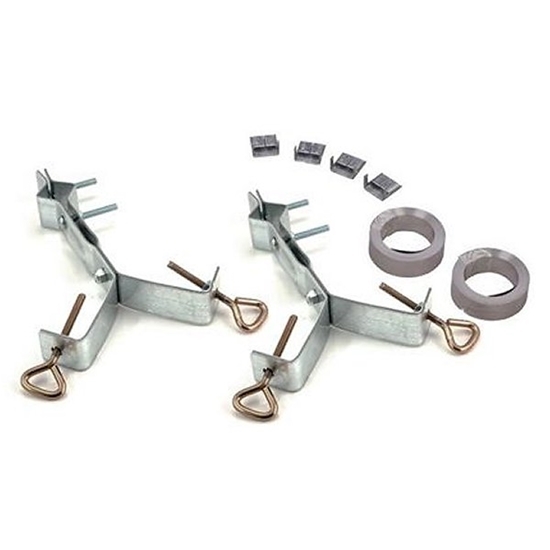 Install brackets as far apart as possible, 20 % of mast length is suggested. Feed free end of strap through. Pull strap tight around chimney. Be sure the strap is evenly placed around the chimney. Tighten to secure straps around chimney. Install antenna mast. Use guy wire if mast length is excessive.